Shapely is a powerful and versatile one page WordPress theme with pixel perfect design and outstanding functionality. It is by far the most advanced free WordPress theme available today with loads of unmatched customization options. This theme comes with several homepage widgets that can be used to add portfolio, testimonials, parallax sections, your product or service information, call for action and much more. Shapely supports most free and premium WordPress plugins such as WooCommerce, Jetpack, Gravity Forms, Contact Form 7, Yoast SEO, Google Analytics by Yoast and much more. Needless to say that theme is mobile friendly and responsive that makes it look stunning on any device. This theme is the best suited for business, landing page, portfolio, ecommerce, store, local business, personal websites but can be tweaked to be used as blog, magazine or any other awesome website while highlighting its unique one page setup. This is going to be the last WordPress theme you will ever want to use because it is so much better than anything you have seen and it will deliver the best SEO results since we have well optimized it structure. This theme is developed using Bootstrap 3 frontend framework which makes it fully responsive and optimized for all mobile devices such as iPad, iPhone, Android and Windows Phone. It executes “Mobile First” approach. Razor sharp text, vibrant colors, stunning graphics, sharp images, premium feel and beautiful vectorized icons on HiDPI (Retina) displays. Shapely has dozens of options for additional customization. You can edit footer copyright information, change element color, add hero image, tweak sections and much more. Fullscreen hero image will make your most important content to stand out. Also great to call for action with style. We have an outstanding support team and we will help you free of charge. Some additional services and website development services are also available. Feel free to leave a message on our support forum. Shapely theme features a sleek one page layout which is well suited for business and landing page style websites. WooCommerce is no longer a premium theme feature and you can get it now for free. Build your own eCommerce website with ease. Theme is translation and multilingual ready. More information is available on how to translate WordPress themes. We would really appreciate if you could help with translation into your language. This theme has a built in Font Awesome support. These are vector based icons that can be used in any color and size anywhere in the website. 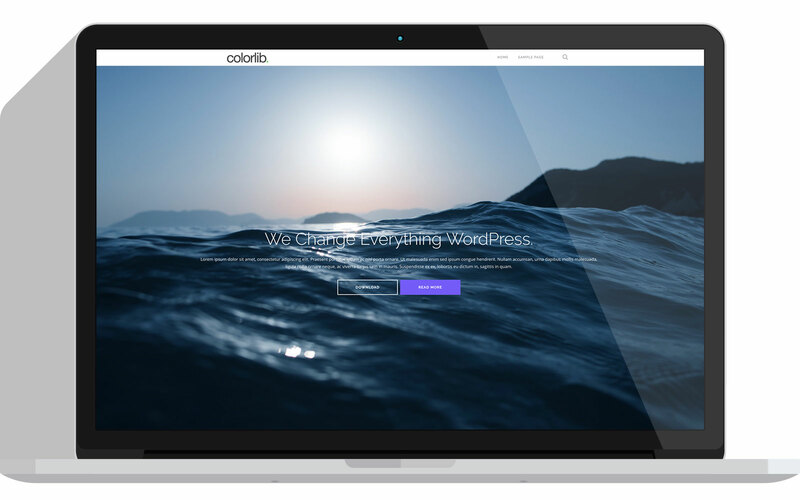 It is a highly customizable theme with unlimited color options. There are several one-click color pickers to change colors for each and every theme element. We have covered the most important functions on the detailed Theme instructions page that you can find here. * Major upgrade to comply with WordPress.org guidelines and best practices. * Fixed parse error for older version of PHP. * Fixed error when mobile menu was appearing along regular menu between 990px – 991px.